After working in the Public Utilities Board for 45 years, retiree Leo Boh Suan, 82, is happy to lead a peaceful life. 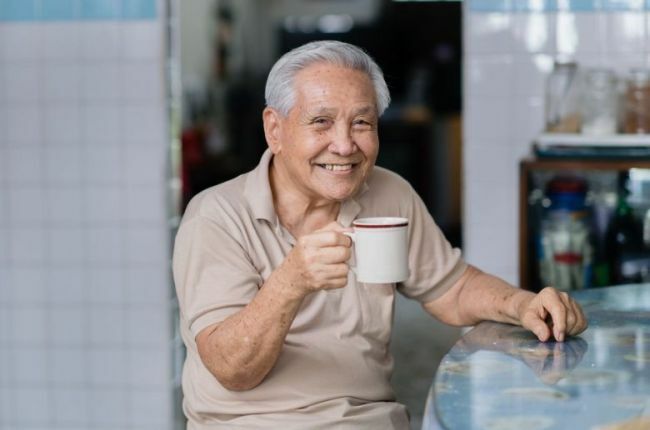 Mr Leo lives with his 78-year-old wife in Ang Mo Kio. They have no children and spend their days pursuing diverse interests. “My wife has many friends and is always busy going out with them. I prefer to stay at home and watch television. I usually go out for breakfast and to buy takeaway meals to eat at home. We seldom cook,” he says. Three months ago, Silver Generation (SG) Ambassadors came knocking on the couple’s door. These are volunteers who visit seniors to educate them on the various healthcare services and active ageing schemes available, such as the Project Silver Screen (PSS) functional screening programme. Under this, senior citizens can get their vision, hearing and oral health checked at subsidised rates at various convenient venues. “I don’t usually go for health screenings but since they asked, I agreed,” says Mr Leo. At the screening, he was informed that he had dental issues and was advised to go to a dentist for a follow-up. Mr Leo says he has been wearing a full set of dentures for more than 10 years and was not aware that he had dental issues. “I always thought that one needs to see a dentist only when one has a toothache,” he says. Like Mr Leo, many seniors feel that if they do not feel any pain, everything is fine. Most of them will also brush off any vision, hearing or dental issues as they are “old-age problems, can’t help it”. Some will also avoid check-ups because they are concerned about the cost. But thanks to the PSS functional screening programme, senior citizens can enjoy check-ups and follow-up treatments at subsidised rates. When a person’s basic daily functions — such as seeing, hearing and eating — are in good shape, it is so much easier to age happily. In Mr Leo’s case, the functional screening made him more aware of the need for regular check-ups and offered solutions to improve his oral health. This series is an initiative under the Action Plan for Successful Ageing.